PBY-5A of VP-51, Fleet Air Wing 4 (FAW-4). Commanded by US Navy Captain Leslie Gehres, FAW-4 consisted of three squadrons of Consolidated PBY Catalina patrol seaplanes. 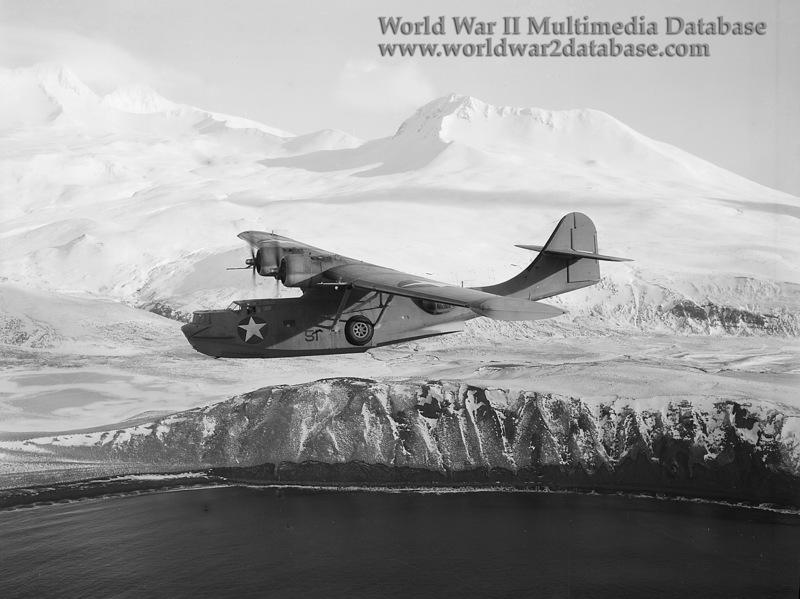 On March 15, 1943, FAW-4 headquarters moved westward from Kodiak to Adak, just before the Battle of Komandorski Islands on March 27, 1943. VP-51 was commanded by Cdr. Turner Day.